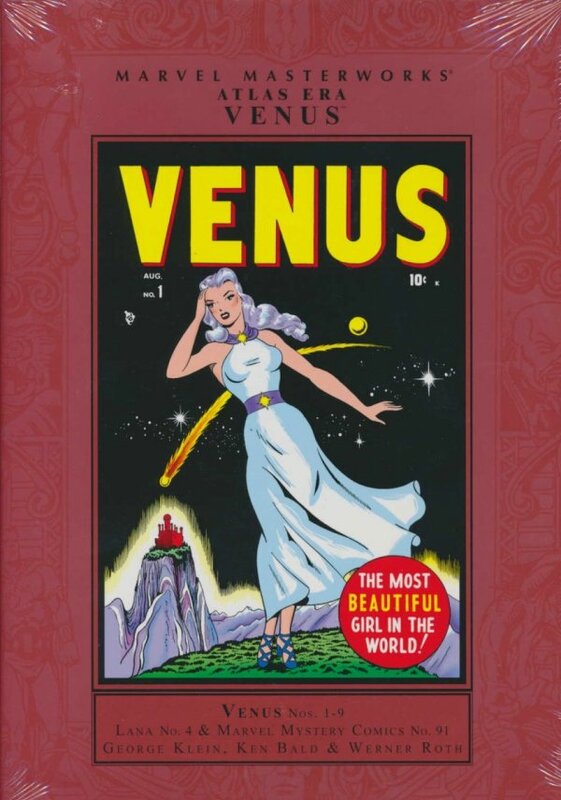 The MARVEL MASTERWORKS are proud to present one of the most amazing titles and characters in the Marvel pantheon: Venus! 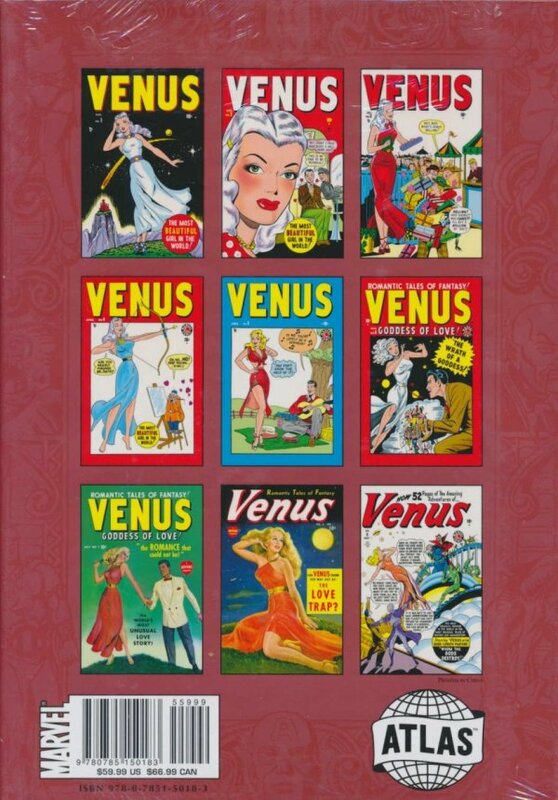 Debuting in 1948, Venus would come to reflect the morphing genres and content of the comic-book industry like almost no other title, and across its run would present some of the most compelling stories of the era. From the beginning, the title featured the goddess of love, Venus, who leaves her immortal throne to seek love as a normal - though stunningly beautiful - mortal on Earth. Publisher Whitney Hammond turns her arrival on Earth into a media event and appoints her editor of his flagging magazine Beauty. Stories on the trials and tribulations of magazine publishing and men smitten by her beauty, however, soon gave way to mythological tales with a fantasy/adventure bent. Increasingly dark in tone, Venus' adventures began to feature scheming Olympian villains set to control, foil or destroy the Earthbound goddess' plans. Trips into the underworld ruled by the Atlas Era's Loki became the norm, and lush artwork by many of the period's top talents graced extended-length stories. Collected here for the first time, this rare fan-favorite title is a must-have for every Atlas aficionado! Collecting VENUS #1-9, LANA #4 and MARVEL MYSTERY COMICS #91.